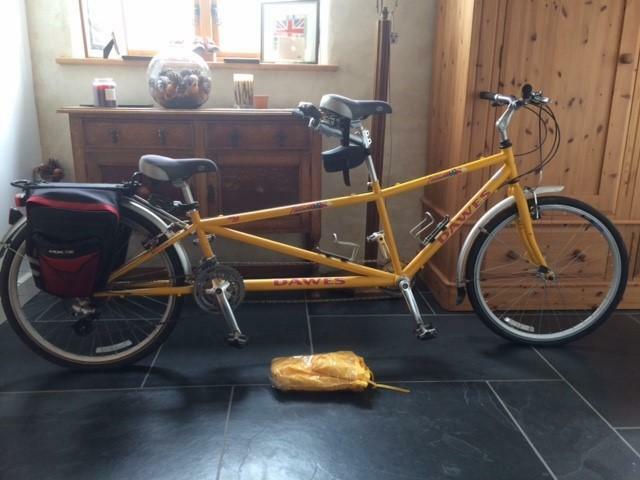 Dawes Twocan Childback Tandem. 16/12 frame size. 24 speed Shimano gears, pannier bag, saddle bag and rain cover for one. Fantastic condition. Always kept inside the house. Genuine reason for sale.